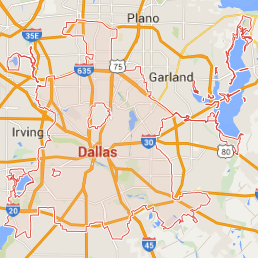 The goal of 911 Restoration Dallas is to be able to provide your home with quality water damage repair and restoration that will give you a fresh start! 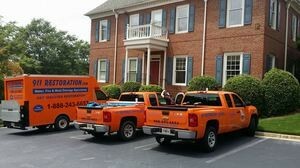 Our water damage Kaufman team wants to ensure you remain safe and comfortable after an emergency like a roof leak or pipe burst occurs. Whenever leaks of any kind occur, it’s best that it be patched up right away by professionals in order to safeguard your home from any further damage in the form of flooding, wood rot, or mold growth. We know how vital a quick response is so you can expect water damage Kaufman specialists to be at your property within 45 minutes of your emergency call. Once we arrive, our restoration process will begin by providing you with a free inspection and estimate. Our assessment will help us determine the extent of the problem and provide you with solutions. You can rest assured that we will be offering our services only at affordable prices. Your home will be in good hands with 911 Restoration. When multiple sections of your home are affected by water damage, it’s best to leave it to the water damage Kaufman pros from 911 Restoration to take care of it. We will provide a free visual inspection to check for any signs of mold and provide the necessary remediation work when necessary. We will remove mold with eco-friendly cleaning solutions and remove any spores released into your home. We will patch up pipe bursts. We will extract water and remove moisture using our advanced drying equipment. 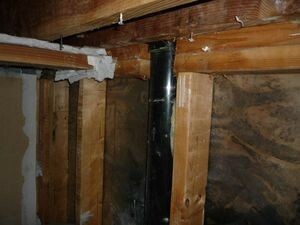 Our team will even check the hard to reach areas around your home such as the attic and crawlspaces. We will extract sewage out of your home. We will repair damage done to your plumbing and we will decontaminate the affected areas using our industrial strength cleaning solutions. Water damage is a pervasive issue that can affect multiple sections of your home. Among the emergencies that can affect your home include storms, floods, and roof leaks. Each of those problems can lead to reduced structural integrity. Our water damage Kaufman team is IICRC certified to provide complete property restoration that will make your home look good as new. We have nearly four decades worth of experience in dealing with all kinds of water damage situations which include pipe bursts, sewage backups, flooding, storm damage, and water-based appliance hose ruptures. You can rest assured that we can offer you the best solutions that will give you and your home a fresh start! We know that these can be frustrating situations to deal with, but our specialists are available 24/7/365 to make your home look good as new! When you need any water extracted, you can give our water damage Kaufman experts with 911 Restoration Dallas a call today!